What about the children!? They are, after all, the future of mountain biking. Equip your grom with the Giant Trance Jr 26 Complete Mountain Bike and watch them take off. All of Giant s tech is packed neatly into this grom sized chassis with 26" wheels, ample 120mm of travel and a whopping 11 speed drivetrain. 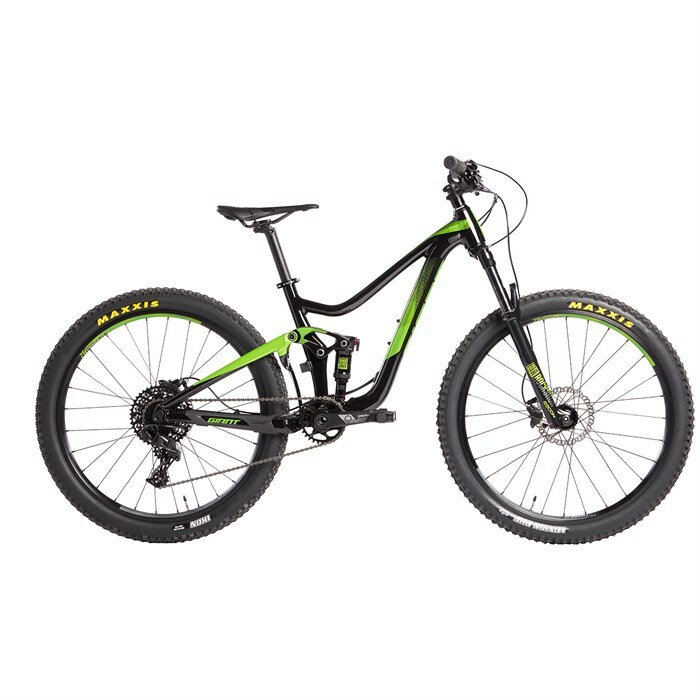 Set them up with the Giant Trance Jr 26 Complete Mountain Bike and watch the stoke unfold! 120 mm Maestro® Suspension  Whatever off-road adventures you seek, Giant's Maestro Suspension helps you make the most of your efforts. Control, traction, comfort, speed -- you get more of everything with Maestro. From fast and efficient XC bikes to long-travel downhill setups, Maestro is an adaptable full-suspension platform that offers smooth, active rear suspension for any type of trail and all kinds of terrain. Rockshox Recon RL  The RockShox Recon sets a new benchmark for value-based performance. Recon represents a perfect partnership between 32mm Revelation’s crowns and lower legs, and bombproof RockShox new steel Fast Black upper tubes. Adopting this proven chassis allows for shorter upper tubes, which means Recon just went on a serious weight-loss program. With the addition of its now-standard Motion Control™ damper, the re-invented Recon is the new silver standard for fun. 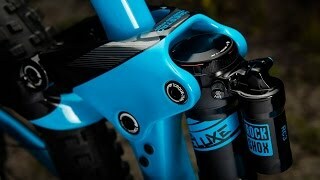 SRAM NX 1x11 Drivetrain  It’s how you start that matters. Whether you’re discovering the mountain for the first time or you’re an MTB lifer searching for a no-nonsense, no-worries 1x drivetrain, SRAM NX is ready for action and ready to take you there. NX brings you a wide range of gear choices engineered for simplicity and durability, so you can focus on what matters most — the ride ahead. German engineered and proudly bearing the SRAM 1x™ stamp of approval, NX is ready to let the world know what real riding feels like. Start new. Start right. Start with SRAM NX. Maxxis Ikon Rear Tire  The Ikon is for true racers looking for a true lightweight race tire. With 3C Triple Compound Technology, high-volume casing and a fast rolling tread design, the Ikon provides exemplary performance in all riding conditions. As its name suggests, the Ikon represents all that is true in racing. Front Tire: Maxxis Minion DHF | 26 x 2.35"
Rear Tire: Maxxis Ikon | 26 x 2.35"